Timba | Pedrito Calvo Jr.
Pedro José Calvo, better known to Cuban music fans as Pedrito Calvo Jr., was born into Havana's musical elite on March 4, 1979. The son of one of Los Van Van's most popular and charismatic singers, Pedrito Calvo, it was inevitable that he would one day follow in his father's footsteps as a vocalist. Growing up as part of the Van Van family must have been an education in itself, and at the age of 14 he began his formal music training at the Escuela Elemental Guillermo Tomás de Guanabacoa. He commenced his studies in guitar but later studied voice. In his early years he sang with various amateur groups but by 17 he began his professional career singing with LM Sobredosis. He also sang with La Farandula and La Charanga Forever before beginning a 5-year stint in Pedrito Calvo y La Justicia. During this time he learned more than just the technical aspects of being a vocalist. Under the tutelage of his father he also learned showmanship and mastered the skill of connecting with an audience. He further honed his stagecraft working in musicals and shows such as "Paradise Road" and "Mango Tropical Cafè". During his career he has shared the stage with great Cuban artists such as Ibrahim Ferrer, Omara Portuondo, Pio Leyva, Los Van Van, Amadito Valdés and Barbarito Torres. Early in 2009 Pedrito decided it was time to step out on his own, and he founded Pedrito Calvo Jr. y Su Orquesta. Their first international tour was in conjunction with the 2009 Munich Cubamemucho congress. Since then the band has performed in France, Germany, Italy, Slovakia, Slovenia, Mexico, Venezuela, Poland, Denmark, Austria and in Cuba of course. Check the Videos page to see Pedrito Calvo Jr. y Su Orquesta perfoming live on Italian television. 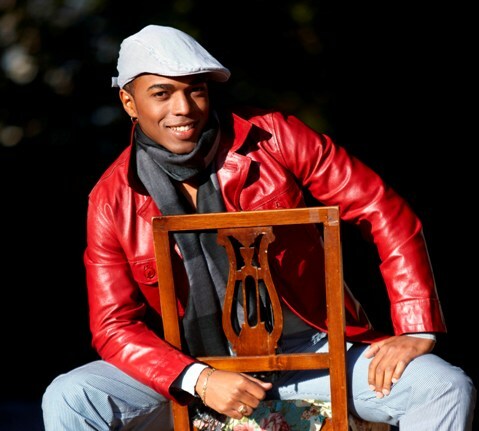 As of 2011 Pedrito Calvo Jr. y Su Orquesta have recorded several singles and the CD Mi Fiesta Latina. See the Discography page for a more detailed look at their work. Pedrito's music covers a range of Cuban genres including timba, salsa, cha-cha-chá and salsatón as well as other popular Latin genres such as bachata. His songs have also been featured on Latin music compilations and are getting much airplay from DJs.